Roofing materials are among the most important structural components of a home or building of any type. If the materials are not adequate to withstand the climate conditions, the roof will fail. Class 2 shingles are one of the four types of shingles used for residential roofs. Type IV roofing materials are used for both residences, institutional and commercial buildings. Shingles are categorized with standard numbers and roofing materials are categorized with Roman numerals. Shingles and roofing materials are assigned numeric rategories for their performance and usage. A Class 2 impact shingle is one that has been assigned a Class 2 rating by Underwriters Laboratory, or UL. Testing performed by UL determines the degree of stress that newly manufactured shingles can endure. Steel balls, measuring from 125 inches to 2 inches in diameter are plummeted against the shingles at a speed of 90 miles per hour. A shingle is assigned a Class 2 rating if it does not rupture or crack when hit by 125-inch balls dropped from 20 feet above. The highest rating is Class 4. These shingles withstood 2-inch balls under the same testing conditions. A Class 1 rating means the shingles withstood 125-inch balls, and a Class 3 rating means the shingles withstood 175-inch balls. The impact rating is important to know. For example, if you live in an area where winds are gusty and hail is common, you would want shingles with a higher impact rating, such as a Class 3 or Class 4. However, if you live in a mild climate where windy conditions and hail are not as big of a threat, Class 2 shingles will suffice. Type IV roofing material is used for built-up roofing. A built-up roof is composed of multiple plies of roof felts, which are laminated together with bitumen, called BUR by roofing professionals. Bitumen is the tarlike mixture of hydrocarbons derived from petroleum and poured on rooftops. There are three basic components for a Type IV roof --- the waterproofing component, the reinforcing component and the surfacing component. The surfacing component, also referred to as the ply materials, is typically made of bitumen-saturated felt, coated felt, polyester felt or other fabrics. The felt material is usually topped with asphalt, an aggregate material such as gravel or slag, or a granular material used as a cap sheet on top of the felt. 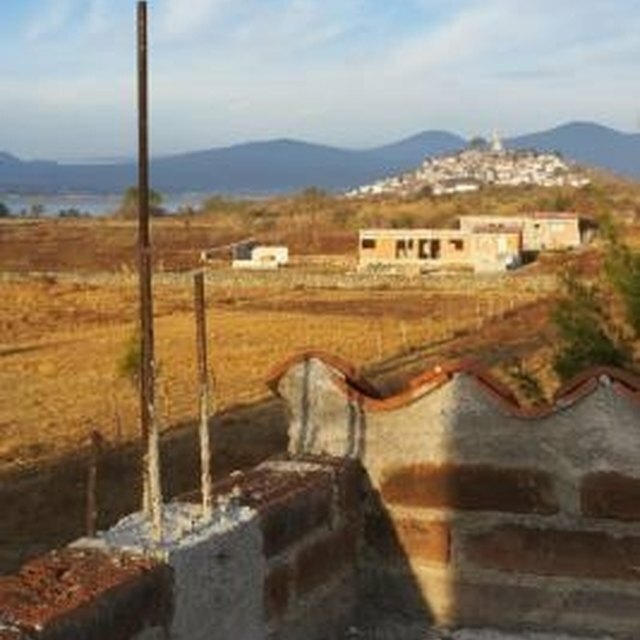 Gravel and slag are the most commonly used materials for Type IV residential roofs. The types of roofing materials are categorized by the American Society for Testing and Materials, or ASTM. Class 2 shingles and Type IV roofing materials represent two of the types of grading and ratings assigned to roofing materials. Both are tested for their endurance from strong weather conditions. However, Underwriters Laboratory tests shingles and the ASTM grades Type IV roofing materials. Insurance companies offer home and building owners different rates for coverage based on the types of roofing materials used in a new home or building construction. The numbers assigned to shingles rate endurance capabilities, while the numbers for roofing materials categorize what type of roof structure to use the materials for. Type 4 roofing materials are often used on roofs with a slope or pitch so the roofing materials give the roof a stable surface. Type 4 roofing materials include three layers --- the waterproofing, reinforcement layer and the surface layer. The materials are swept and poured onto the roof. Class 2 shingles, on the other hand, are only one component of the materials used to build a roof. Shingles are surface materials which are laid and tacked onto the roof as the top layer that you see on the surface of the roof.